So many incredible, unique, and beautiful treasures are hiding in antique and vintage shops all around Austin. There’s a bit more than 30 within city limits, and that number is continues to grow. While North Austin might take the crown for the most jam-packed neighborhood for vintage shopping, South Austin has cool places of its own to brag about. From 1800’s clothing boutiques to funky vintage furniture, it’s a blast gazing into the past through the treasures at these South Austin stores. This furniture store has been keeping Austin homes weird since 2009. Far Out Home Fittings on South Congress is an incredible one-stop shop with a little bit of everything. Their collection is continuously changing, but they keep a focus on both the everyday, frugally-minded shopper and the eclectic collector. If you’re looking for that special lamp or conversation-starting piece of furniture, you’ll be able to find that piece that speaks to your soul. Feathers Boutique on South Congress features an expertly curated range of vintage (and new) clothing, as well as gifts and home goods for vintage-inspired interiors. 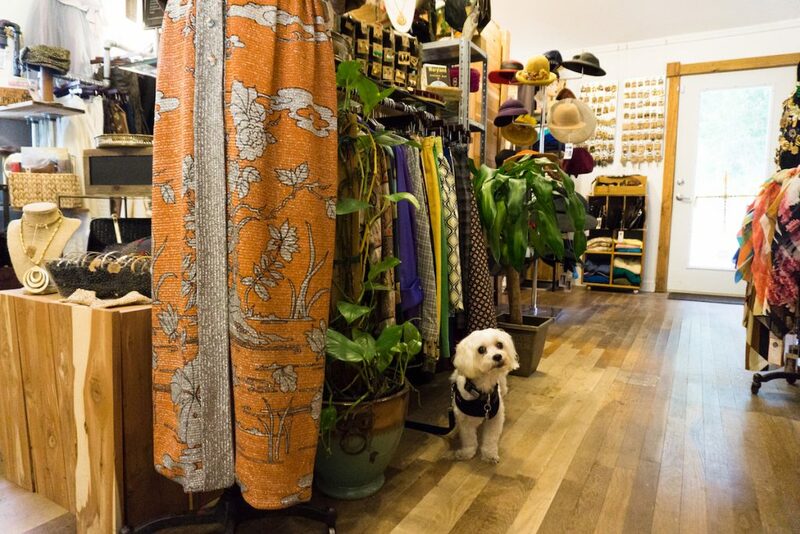 This vintage clothing shop specializes in wearable vintage from the 1920’s-1990’s. While Feathers originally opened in 2005 solely focused on hand-selected vintage clothing for women, they have expanded their collection to include artisan jewelry, vintage home decor, and gifts. 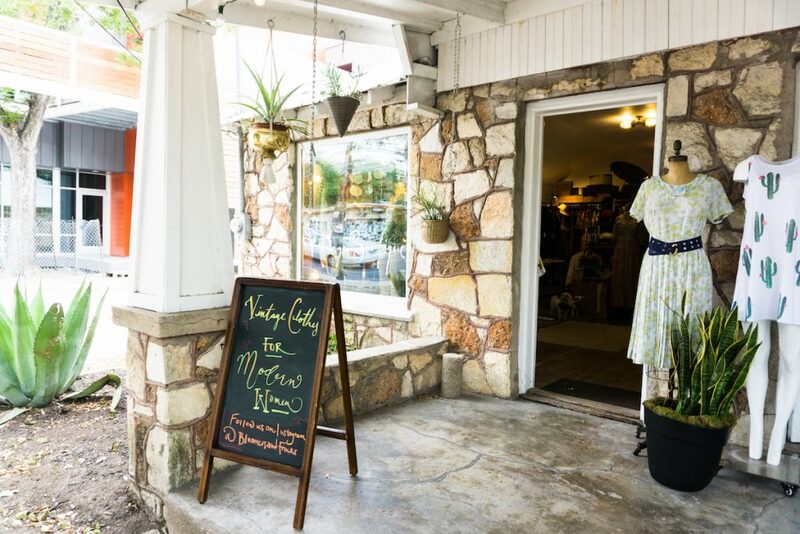 This South Austin vintage clothing shop offers fashion for men and women in an environment both inviting and inspiring. No need to dig here. The shop selects every garment based on current styles in flattering fits. Prototype Vintage Design specializes in slinging on-trend vintage apparel for men and women. Owners Audrie San Miguel, Emily Larson, and Sarah Evans were inspired by Pop Art and the possibilities of exuberant color and futuristic shapes when opening their South Congress vintage boutique. The trio felt Austin needed a space that offers progressive designs from the past that define the modern style of today. This antique shop, formerly located on South Congress and now just off TX-71, offers tourists and locals alike a chance to step into the past and explore the collection. With over 20 dedicated vendors working together to create a one-of-a-kind medley of items, there’s no telling what you’ll stumble upon. Whatever tickles your fancy, you’ll find some funky pieces at Uncommon Objects. It’s best to go without a particular item in mind and just see where you end up. Bloomers and Frocks is the new kid on the block, but shop owner Rebekka Adams has been in the business long enough to know how to expertly curate one of the best collections in town. Her shop specializes in clothing and accessories from the 1920’s to 1980’s. Every item is either hand washed by her or dry cleaned by her experts. You won’t find damaged or dingy antique pieces here. Everything in the shop is ready to wear. What I love about shopping at Bloomers and Frocks most is the ability to be measured, and the simplicity of matching my measurements with the clothing tags. Adams works hard to translate vintage sizes to modern day sizes, making finding that perfect piece a breeze. With unique, one-of-a-kind treasures for women and men, this antique shop is one of the many cozy bungalow houses on South 1st Street. An Austin institution since 1982, Flashback always has the coolest threads and accessories from the 1930’s through 1990’s. The store also features quite a fabulous accessories and lingerie selection, as well as ball gowns and jewelry for special occasions. The staff is super friendly and the prices are reasonable. 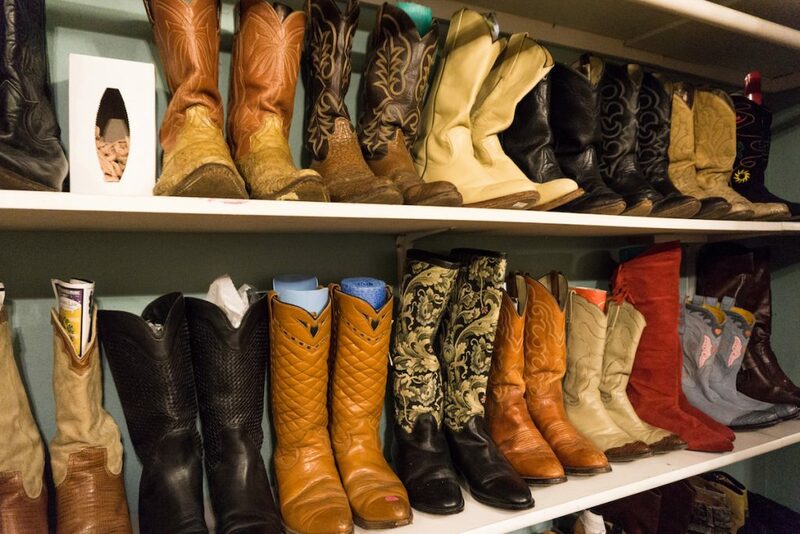 Since 1980, the team of experts at Texas Custom Boots hand-makes custom cowboy boots and high-quality leather accessories at their shop in South Austin. Here you’ll find handmade and custom boots alongside a drool-worthy collection of beautiful vintage boots. They also curate a selection of handmade and vintage leather accessories. Plus, these guys are trustworthy repairmen should your current vintage leather boots need a bit of TLC. Garment Modern + Vintage on South Lamar has a carefully-curated collection including the most unique and high-end clothing from the past century. Whether you’re looking for a worn-in band tee or a designer cocktail dress, you’ll find it in this shop’s collection. Garment prides itself on only stocking vintage items that are both modern and wearable. If you’re more into vintage accessories, you’re covered here. Serious vintage shoppers will be fantasizing over this shop’s treasures long after they leave. 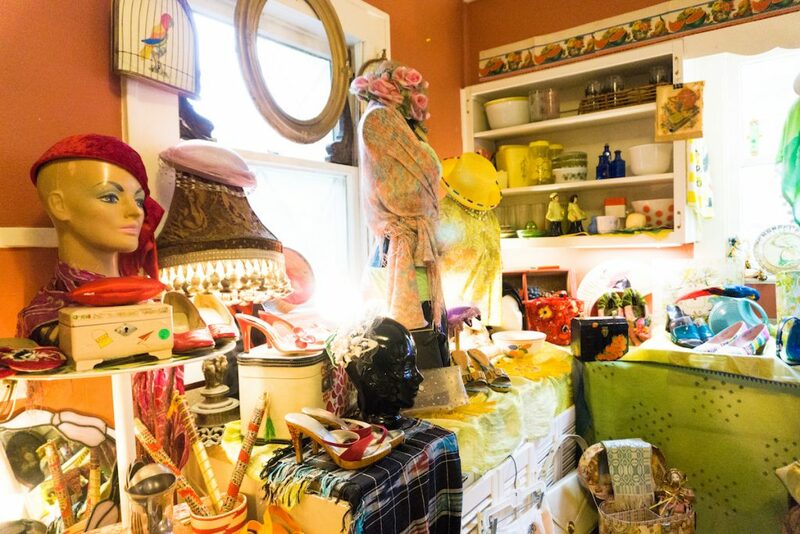 If you want a week’s worth of antique and vintage shopping in one day, you can’t miss City-Wide Garage Sale. The massive vintage flea market offers multiple weekends of shopping from spring to fall at Palmer Events Center. This place is paradise for ever type of vintage shopper. From bargain hunters to serious collectors, there are beautiful and unique treasures for all. 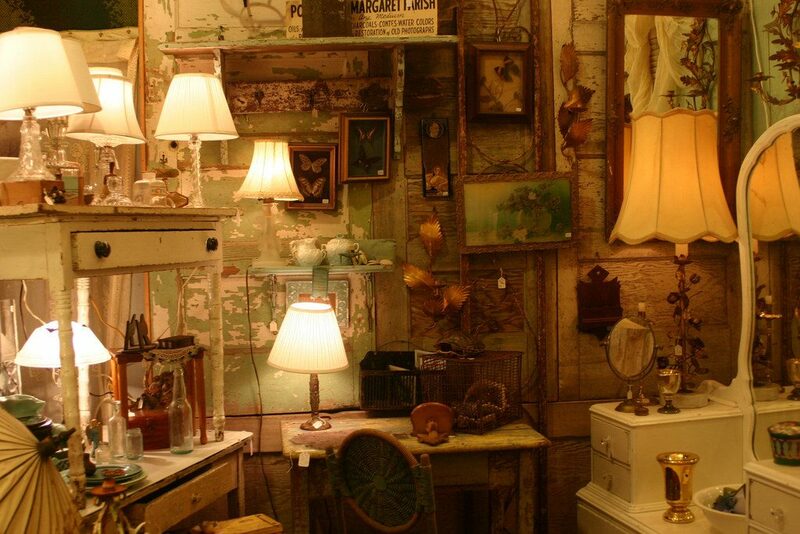 Where do you go for vintage and antique shopping in South Austin?